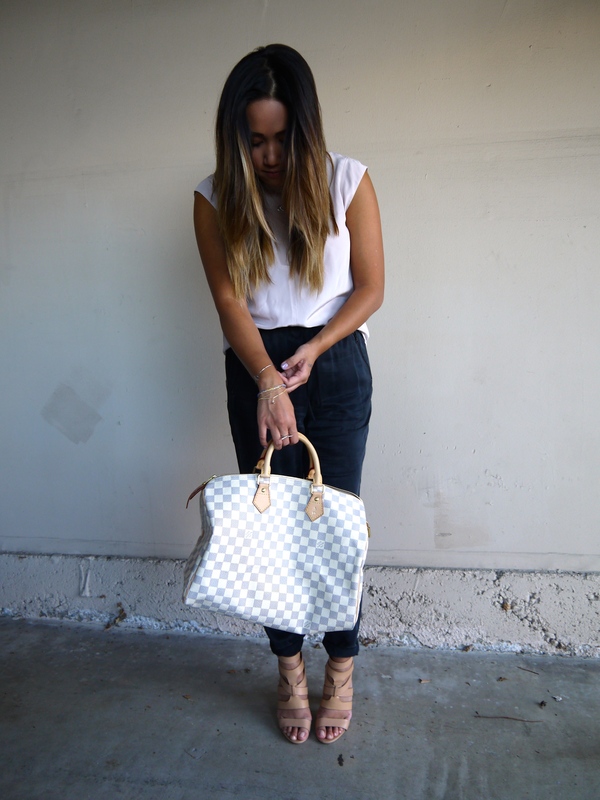 Andrea Dinh – Page 2 – Heart on her sleeve, high heels on her feet. 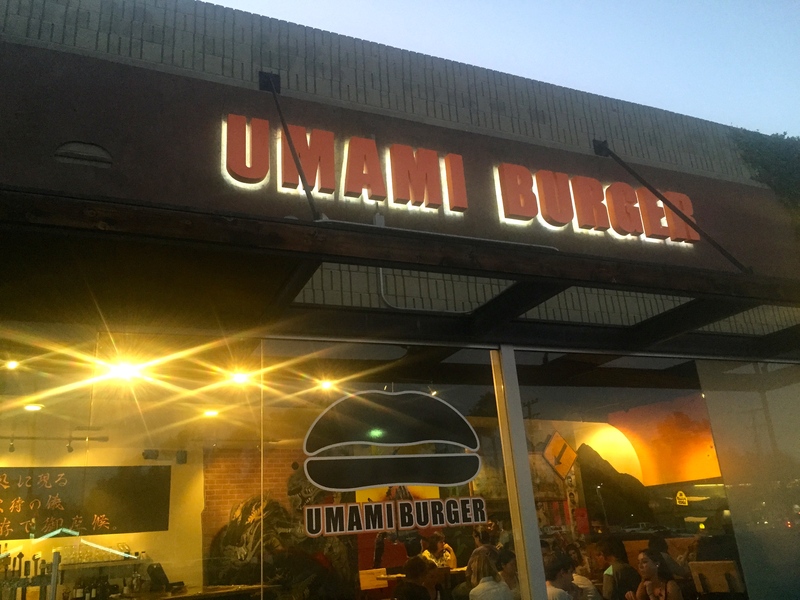 I’ve heard many good things about Umami Burger and I don’t know why it’s taken me so long to try it out. We went to the location at The CAMP in Costa Mesa which in it of itself is a bit trendy. 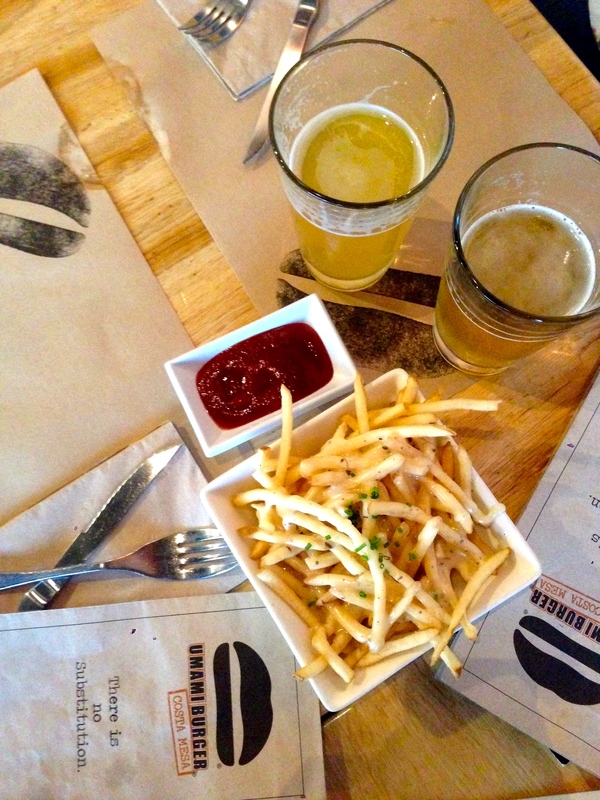 For a trendy burger joint, the food was actually good! 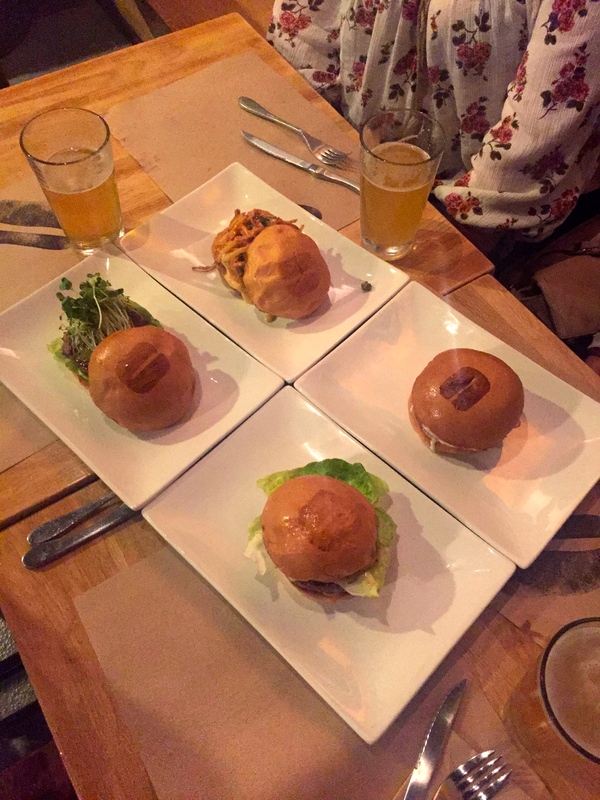 My friends and I went with their thin fries and “truffle’d ’em” for our appetizer, the Cali Burger, the Greenbird, the Truffle Burger and a burger that was a secret turkey burger that’s not on the menu with a few beers to top it all off. The food was pretty tasty and the company even better! I had the Cali Burger and it was really tasty! Savory, but not too much and the burger patty was a nice medium rare that was juicy and soft. It had caramelized onions which is always my favorite thing for a bigger, next to a fried egg. Next time I’ll have to try a burger with a fried egg on it. I agree! And the food and beer are actually good? Even better. 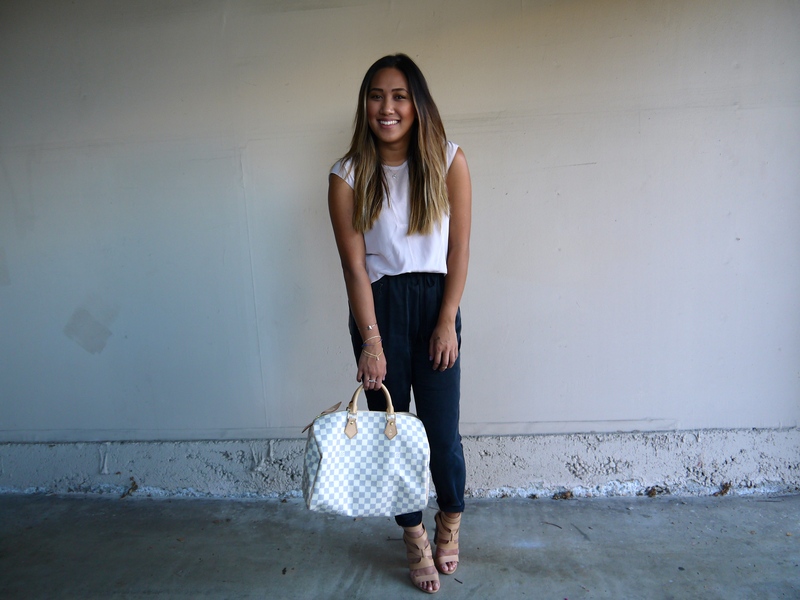 This week, I started a new adventure at Rebecca Taylor at Fashion Island! It was a successful one, I might add. I still feel uncomfortable and awkward, but that’s all a part of change. I think something great will come of this! A little perk of the job is getting an allowance to spend on pretty clothes to wear to work. So here’s a little peak of my favorite outfit thus far compliments of Rebecca Taylor. So excited for what’s to come! 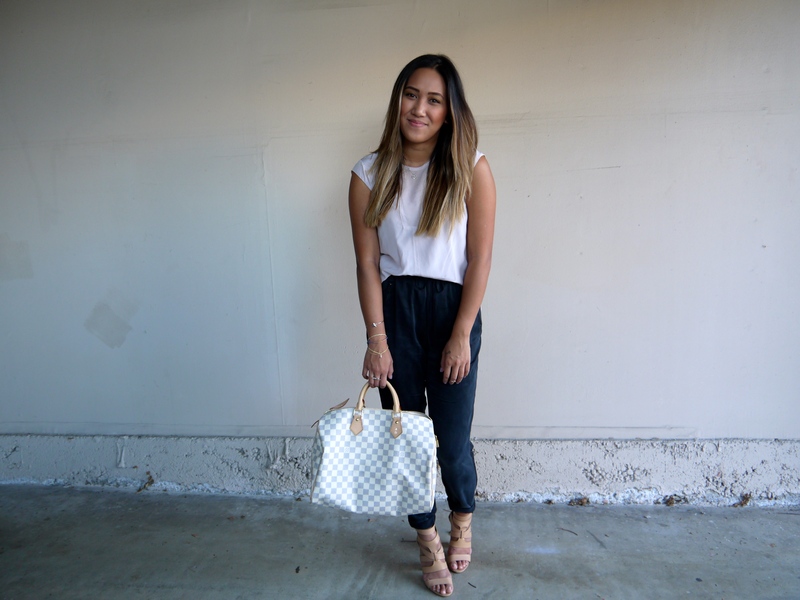 These silk draw-string pants are amazingly comfortable and versatile. Definitely will be wearing these to death! I’ve become obsessed with them. And I’m so excited to have rediscovered the Tiffany & Co. initial necklace my sister got for me for one of my birthdays. 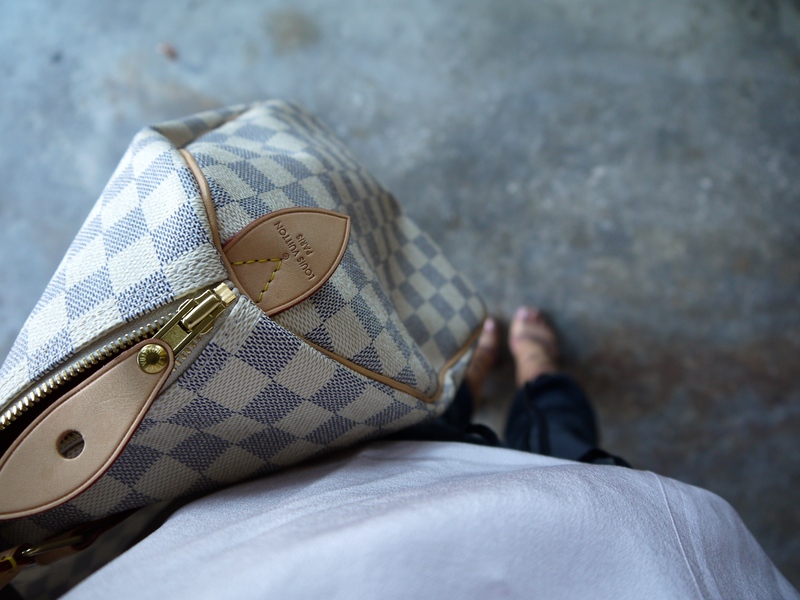 Always been one of my favorites and now that I can really only sport dainty little things to work, it’s perfect for the job. I opted for a casual Friday night dinner with my friend, Victoria because we were both tired from working all day. She suggested a few different Japanese restaurants, so I got the feeling we were doing Japanese food for the night which was fine with me! I love Japanese food: sushi, ramen, rice bowls, you name it! She suggested Tokyo Table at the Diamond Jamboree in Irvine. I rarely make my way to Irvine and had never been to Tokyo Table before, so we decided to go and try something new. Diamond Jamboree was something else! It literally was a square of all kinds of Asian foods. An Asian foodie’s dream or anyone who loves Asian food. From restaurants to markets to desserts, Diamond Jamboree had it all. 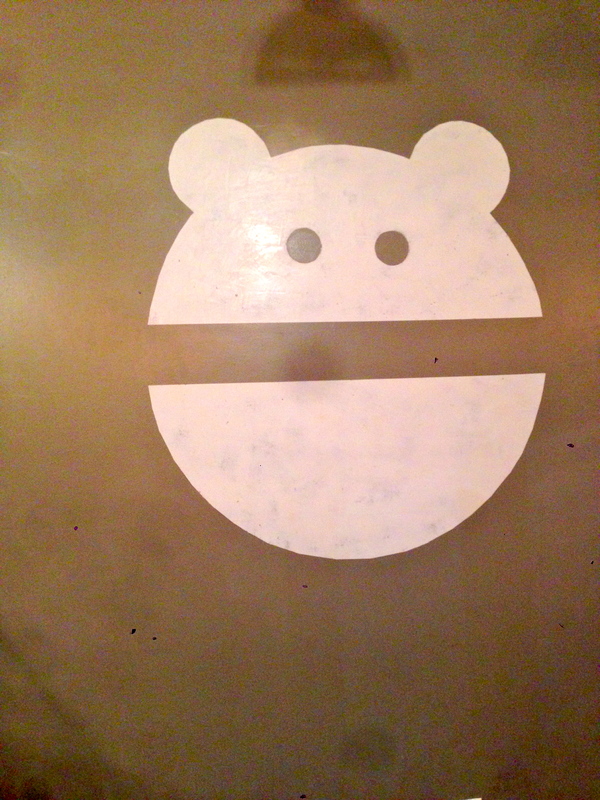 Even though the parking situation was a nightmare, we still stayed and went to Tokyo Table anyway. 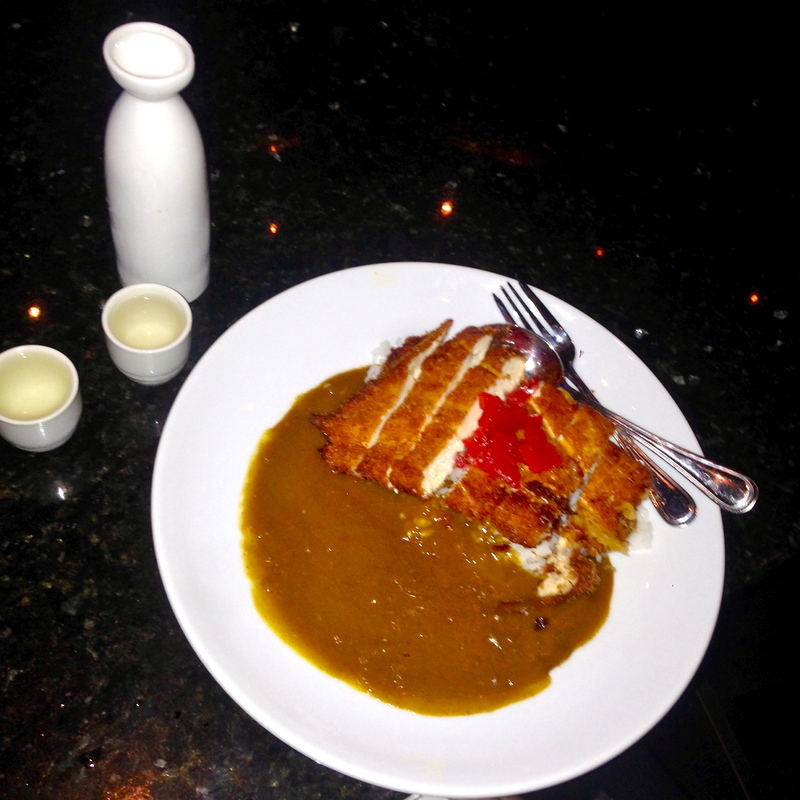 Chicken Katsu Curry and cold House Sake. I had a taste of the Chicken Katsu Curry and it was so good! I’m always a fan of curry, so this was a good one to add to the list. I wasn’t a huge fan of the Sake, but it was something fun to try for our little Friday night out. My dish was amazing! 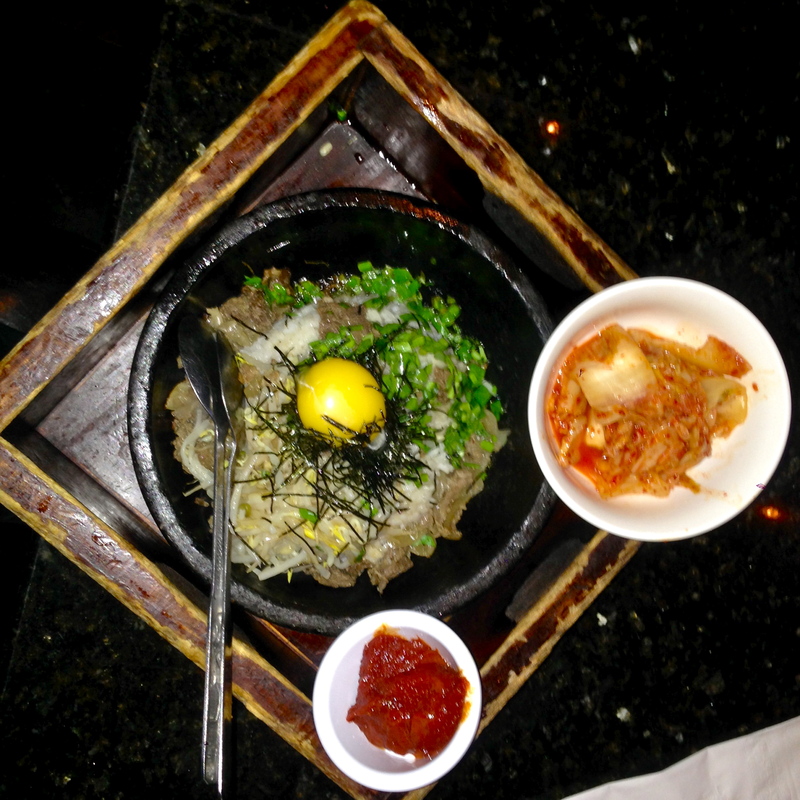 It has rice, bean sprouts, green onions and marinated beef with a raw egg over everything served on a sizzling hot plate. The food-runner who brought my food mixed it all up for me and made it a medium spice. Since the plate was so hot, it cooked the egg as it was mixed into the rice. The flavor was all there! Sasha Asao, the bartender, said the dish I picked was a popular one for the restaurant even if it’s not a traditional Japanese dish. I’m usually not much of a dessert person, but when it comes to a specialty dessert place like Afters Ice Cream, Creamistry or any of the like, I just can’t say no to trying. I’ll always try it at least once and those fun reviews will come soon! A friend told me about Snow Monster and after Yelping it to for some research, I was intrigued! 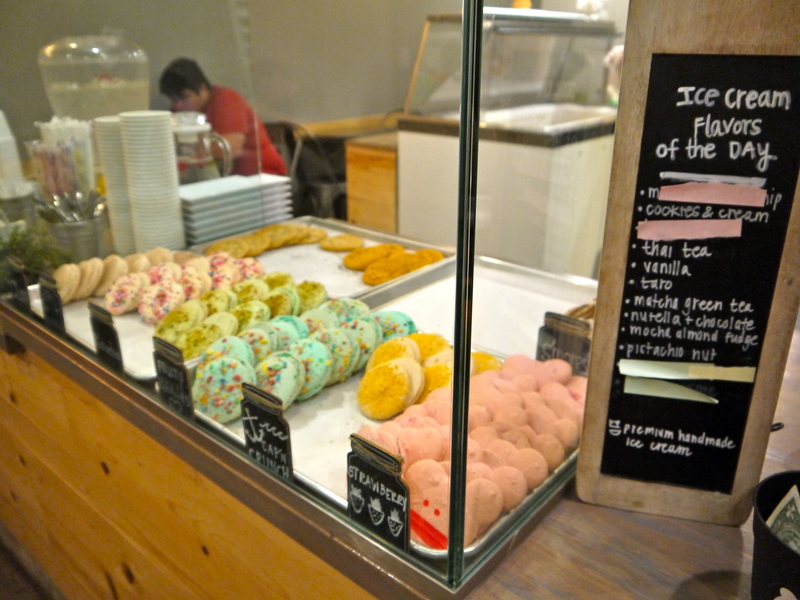 Snow Monster is known for its macaron ice cream sandwiches, especially with its specialty hand-made ice cream flavors. 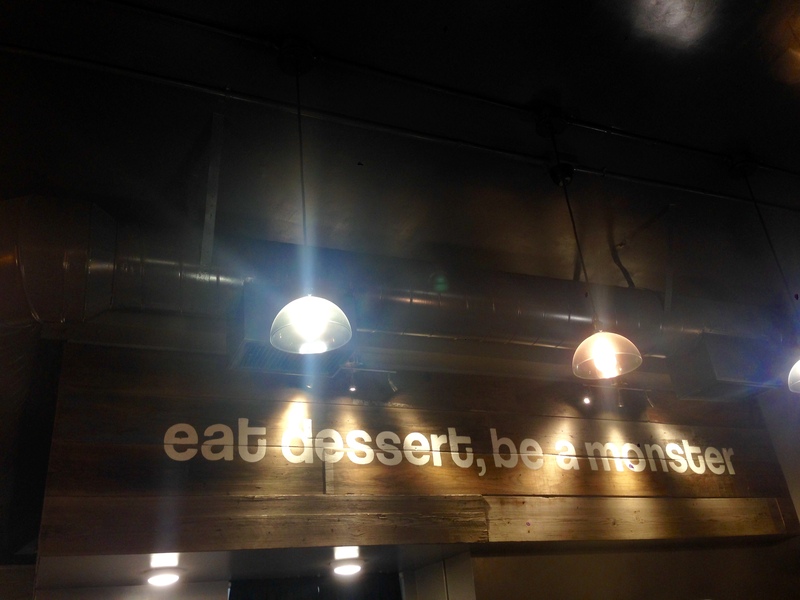 Snow Monster’s small but still extensive menu includes its popular macaron ice cream sandwiches, belgian waffle ice cream sandwiches/sundaes, cookie sandwiches and shaved snow with a variety of topping options. 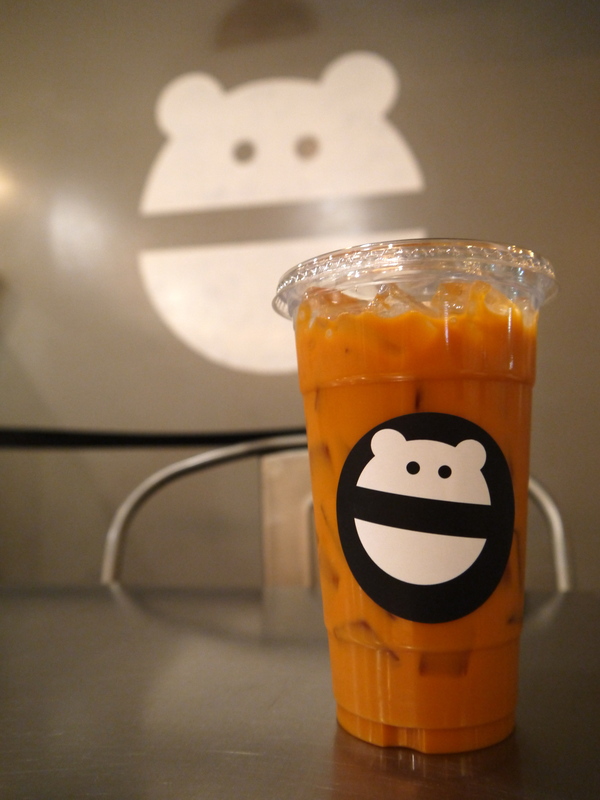 Another popular item on Snow Monster’s menu is one of their “jar drinks.” You have a choice of a Thai iced tea, jasmine milk tea and strawberry lemonade served in a cute mason jar adorned with its unique monster logo. Macarons and ice cream flavors. I tasted the Thai tea ice cream and instantly fell in love! 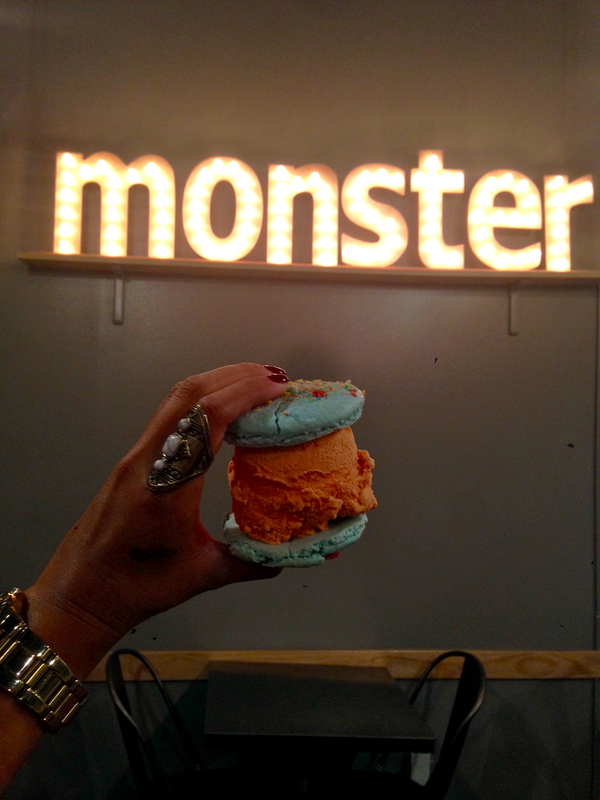 I went with a Fruity Pebble macaron with Thai tea ice cream sandwiched in the middle. My friend opted for the Captain Crunch macaron with taro ice cream as the filling. It came out plated on a simple white plate equipped with a heat-activated color-changing spoon. A fun little extra to the yummy macaron sandwiches. 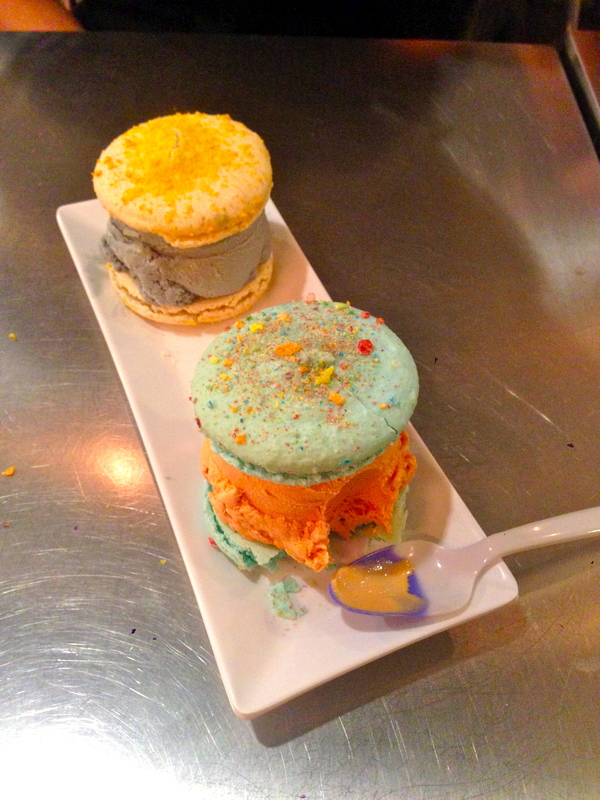 Captain Crunch macaron sandwich with taro ice cream and Fruity Pebble macaron sandwich with Thai tea ice cream. I had to get one its cute mason-jar drinks and I went with the Thai tea as well. I liked that it was served in a large mason jar. It was too big to finish there, so I got a to-go cup that was adorned with its unique Snow Monster logo sticker. 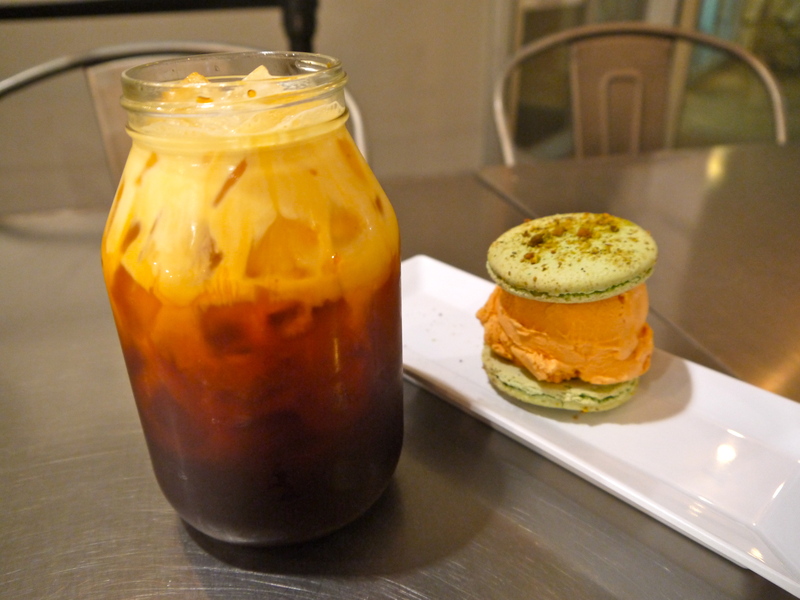 Thai ice tea and pistachio macaron ice cream sandwich with Thai tea ice cream. Michelle Chau, a Snow Monster fan, says she loves all the different options of macarons and unique ice cream flavors. “My husband loves the chewy texture of the macarons and all the different ice cream flavors they have here,” she said. For some unknown reason, I usually don’t like wearing or buying coats. 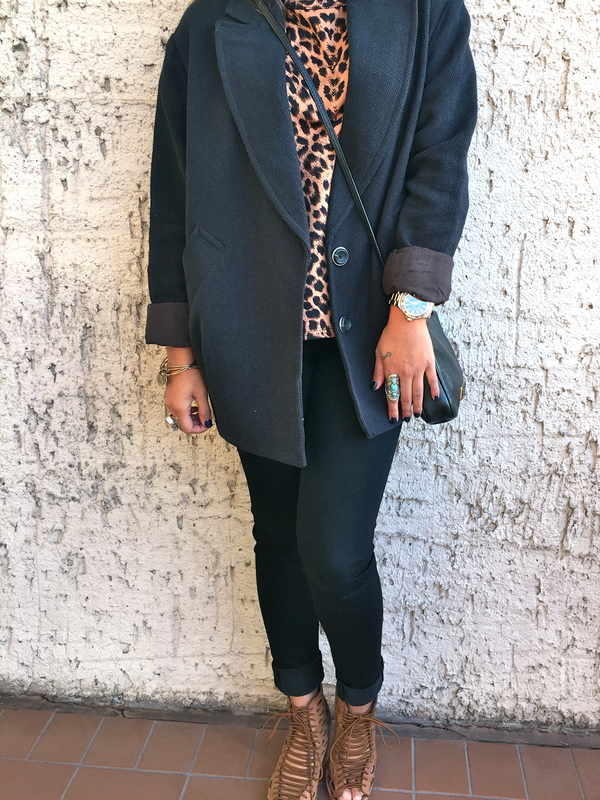 Maybe it’s the SoCal girl in me, but this season I’ve had my eye on several coats, this one included. 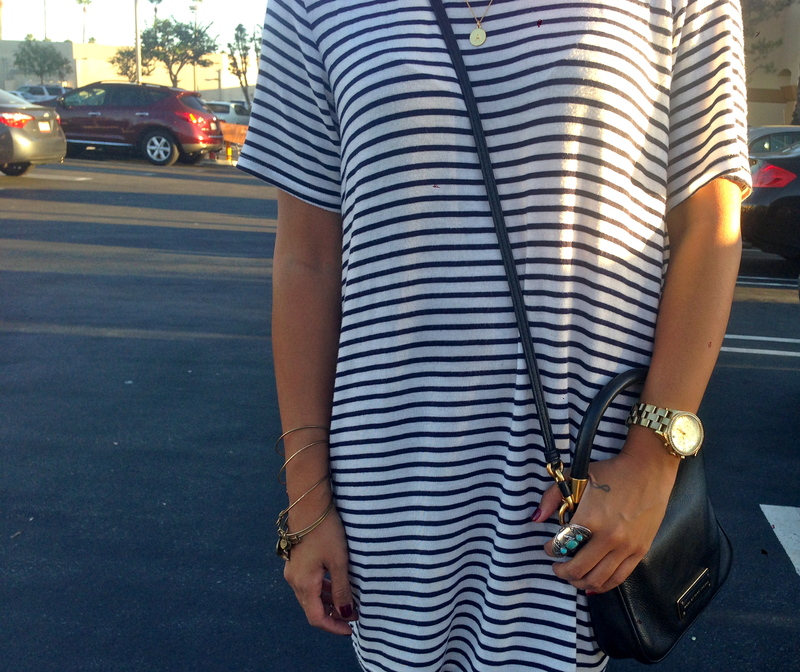 Love this baggy boyfriend look. Can’t wait for it to get a little chillier to pair this with a big flannel scarf. I’ve heard about the Packing District from many friends and have been wondering what all the hype is about. What I heard is that it’s a “trendy cafeteria,” so this week I decided to check it out for myself. 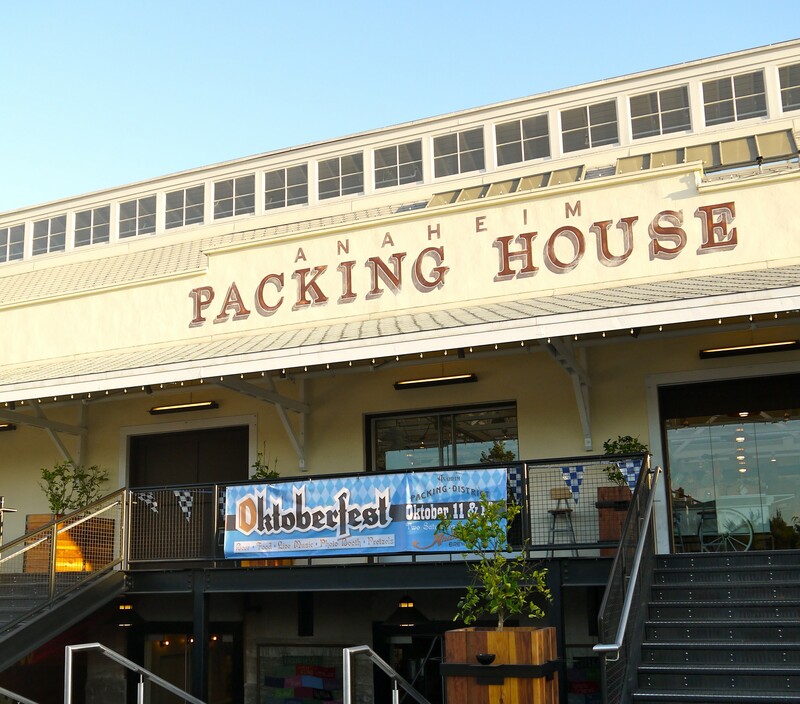 In the heart of downtown Anaheim, California in the Packing District lives the “trendy cafeteria”–Packing House. Outside of the cafeteria-style plaza is a green, hilly courtyard adorned with a ping-pong table and colorful chairs and benches to sit on and enjoy the surroundings. Short staircases lead up to the Packing House doors and inside is filled with a variety of restaurants, bars and yummy sugary-goodness for after the main meal. 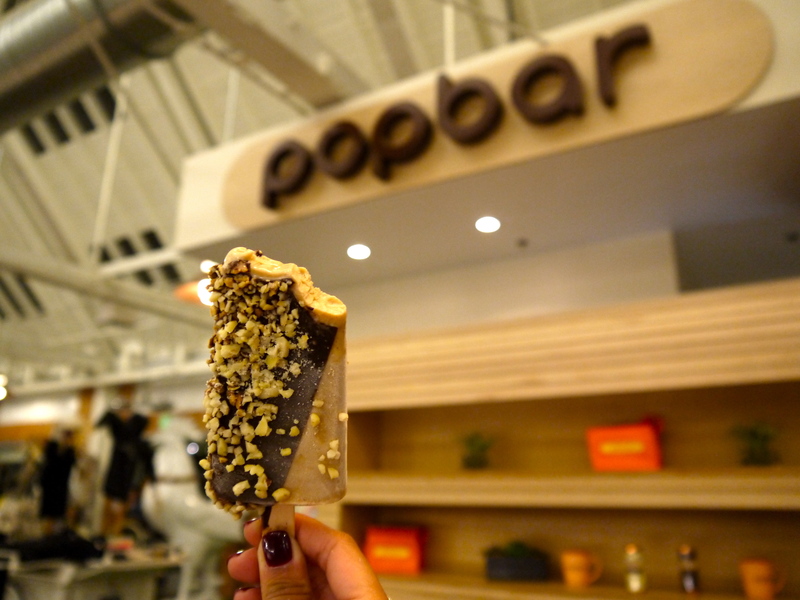 A must-try for me was the oh-so-trendy-and-popular Popbar. I’ve seen a plethora of Instagram posts that make the gelato on a stick look so scrumptious so I made sure to save some room in my stomach for the dessert. What I didn’t know about Popbar is that it originated from New York and has made its way to the west coast. There are more than a dozen gelato flavor options ranging from fruity sorbets to creamy hazelnut and chocolates. I usually gravitate toward fruity gelato flavors, but for some odd, unknown reason, I went on the creamy hazelnut route this time. The employee sold me on making a hazelnut gelato on a stick into a Ferrero Rocher flavor by combining several toppings. It was a combination of dipping the Popbar into chocolate and covering it in nuts and wafer bits. Needless to say, it did taste exactly like a Ferrero Rocher truffle, but it definitely became too overwhelming after just a few bites. I can’t say I wasn’t warned about the overpowering of the toppings and chocolate dipping. Apparently my sister stood beside me and told me she wasn’t a big fan of the fancy Popbars, but I guess that went in one ear and out the other. Next time I’ll definitely be opting for the one of the fruity flavors, like mango or peach. Michelle Gerstein, a huge ice cream fanatic, said she loves all the flavor options and toppings that Popbar offers. Went to the Packing District this week with my sister to try some new places to eat for Dining With Dre. 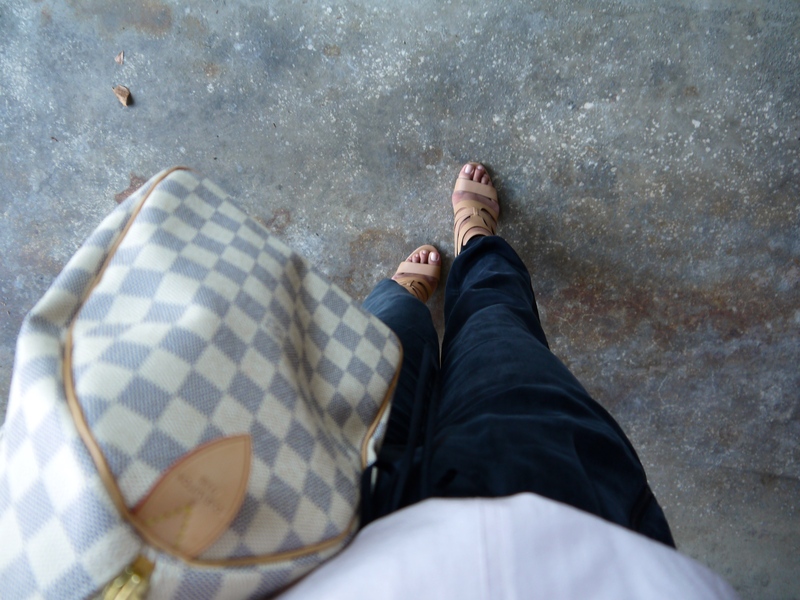 Opted for a more casual outfit since the Packing House is definitely a casual place, but still a bit trendier than most cafeterias. Kept cool in a simple tank and a flannel worn as a skirt (inspired by my bff, Naazak) for the warm summer evening. Definitely want to go back to explore and try more places! 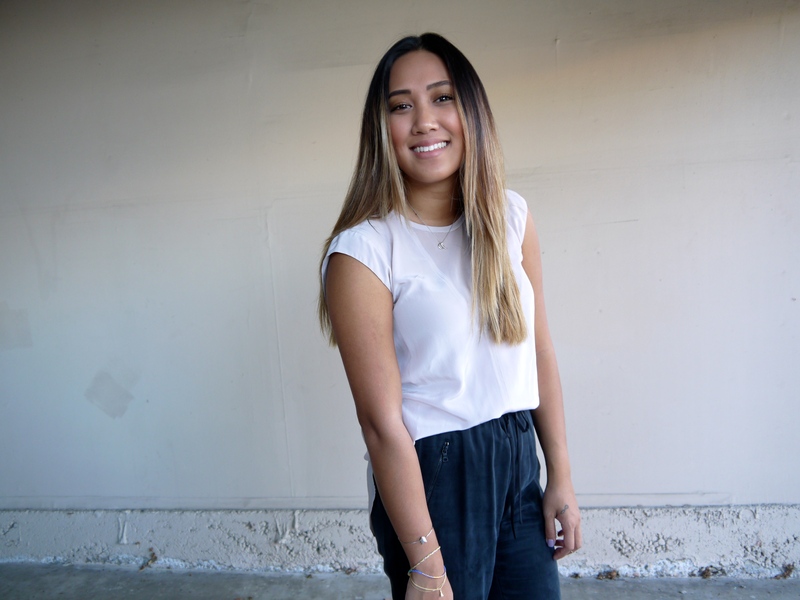 Dining With Dre: Packing House review is coming this week! I’ve been wanting to incorporate more lifestyle pieces into my blog for some time, so I’m very excited to start this five-week excursion of new lifestyle pieces I’m calling: Dining With Dre. 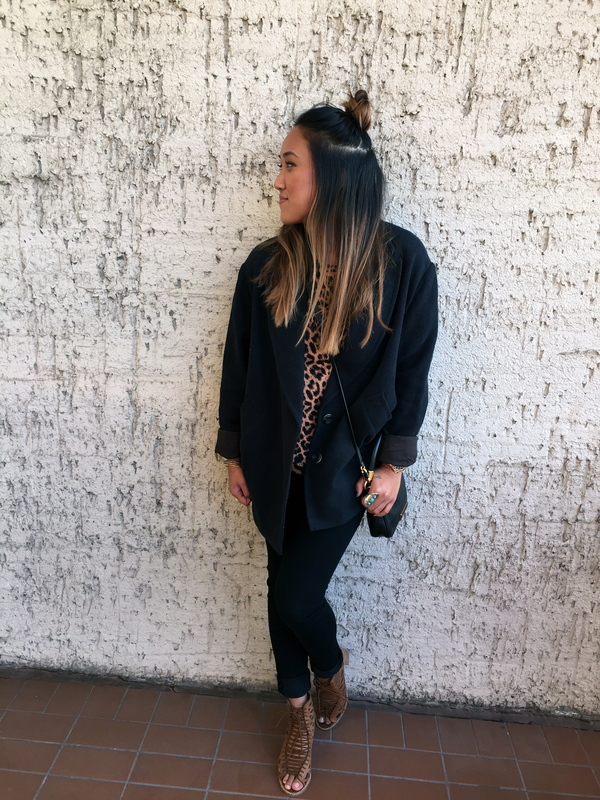 I’ll be trying a new restaurant each week and posting an outfit that goes along with the restaurant theme. So here goes! 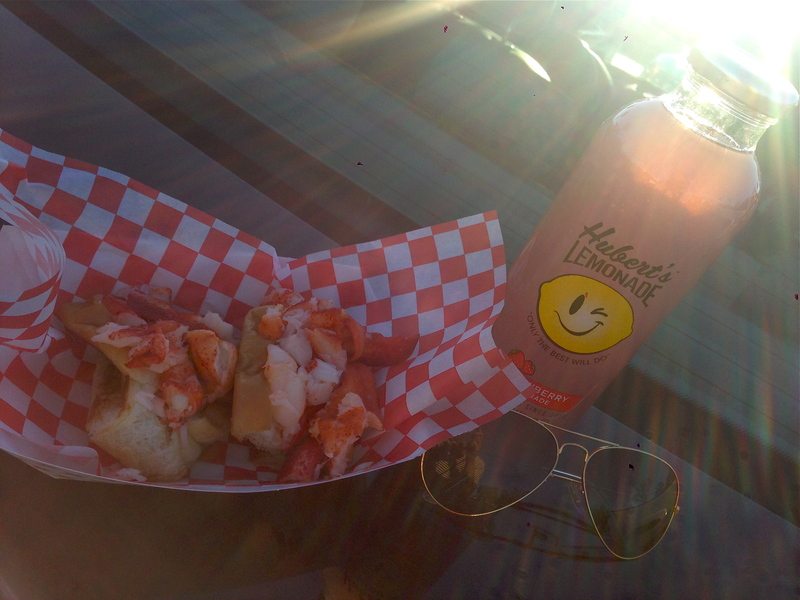 First stop, Lobsta Truck stopped in Huntington Beach, California. I noticed that there are food trucks lined up at a nearby Total Wine and Sports Chalet parking lot every Thursday and have always been interested in trying one of them, specifically the Lobsta Truck. I’ve heard its signature entree, the Lobsta Rolls are delicious. I did a little research beforehand and saw that they were going to be at the food truck party today making it a perfect opportunity to check it out. A “Lobsta Roll” with fresh Maine lobster buttered on top of a toasted roll. Price: $13. Before the truck opened to a readily-formed line of people, I was able to sneak in a couple questions with the manager of the truck, Michael Easterby. I tried the Lobsta Roll with butter and it did not disappoint. The lobster tasted fresh and the butter was just the right amount, generously lathered across all pieces of lobster on the roll. The bread, while seemingly the least interesting part of the Lobsta Roll, still had so much flavor to it. I think the bread was toasted with butter too, and who doesn’t love butter? 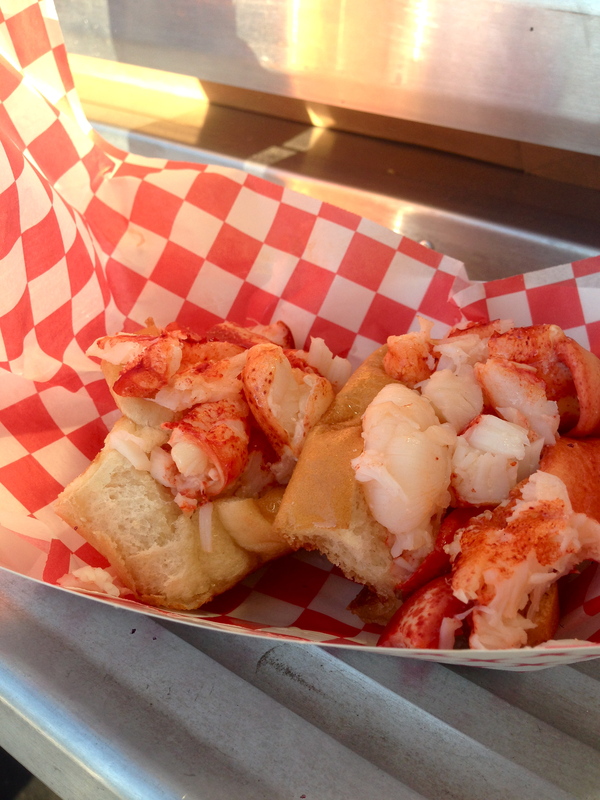 Lobsta Truck’s most popular item on the menu is the Lobsta Roll and it’s offered with butter or with mayonnaise. Lobster and mayo–a weird combination, but apparently those east coasters like it because Easterby said that’s the main difference between the west and east coasts. West coast tends to go for the buttered lobster and the east coast goes for the mayo-ed lobster. 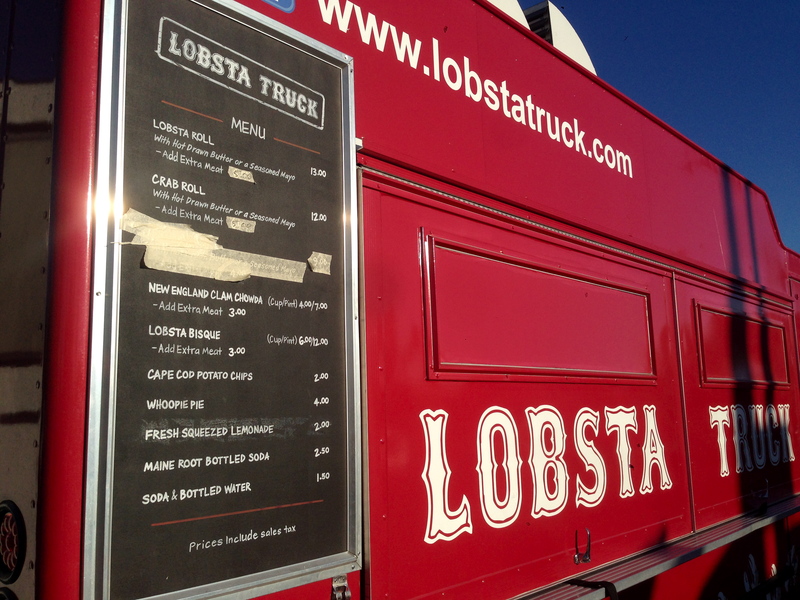 Lobsta Truck’s menu is simple and easy to navigate. It features the popular Lobsta Roll and Crab Roll, but another popular entree is the Lobsta Bisque, a creamy concoction with a subtle lobster undertone. 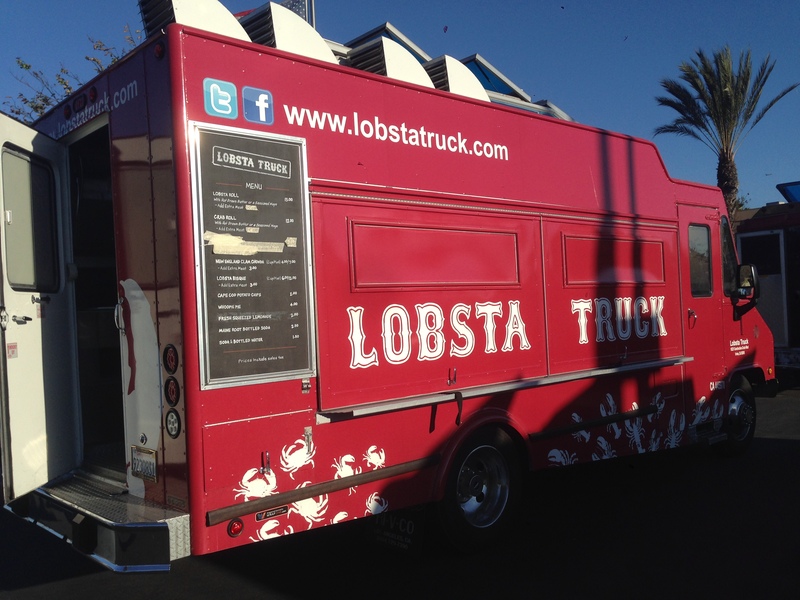 Check out Lobsta Truck’s website for its location schedule, menus and photos. Knowing that the Lobsta Truck is all seafood, it inspired me to dress a little more nautically than usual, but casual since it was just a little food truck in a parking lot. Just got these Steve Madden sandals for such a steal. Excited to get good use out of them. 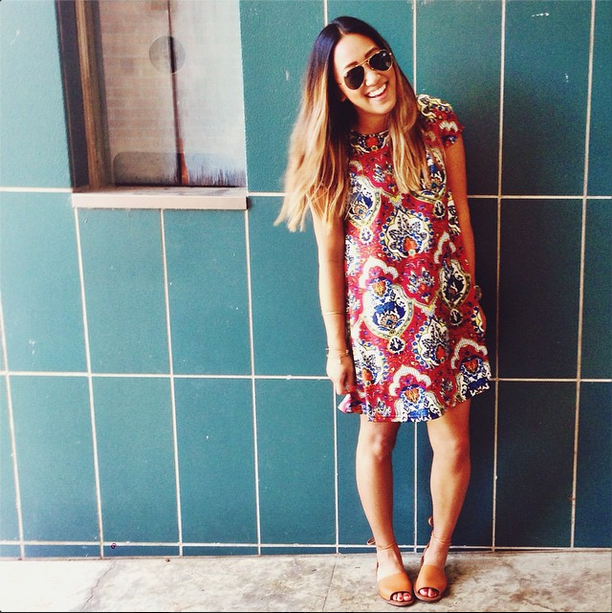 So excited to have picked up this cute little dress that’s usually out of my comfort zone. So flowy and fun to keep me cool during this crazy heat!